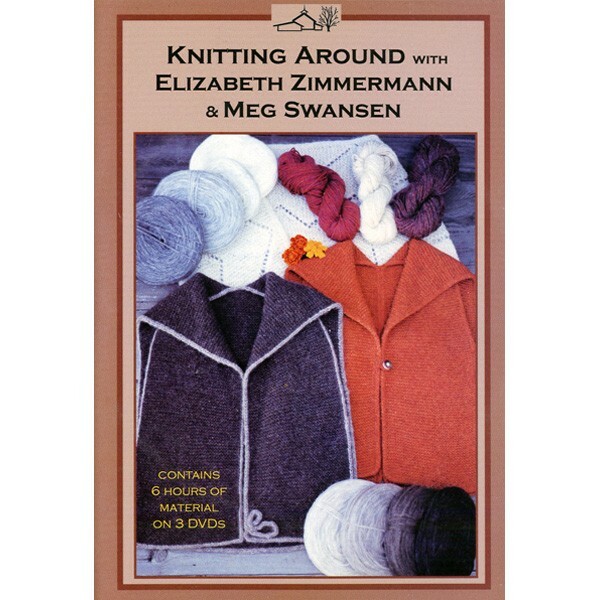 The garments and techniques from EZ's classic book, Knitting Around, are now presented by Elizabeth and her daughter Meg, in 12 video lessons including: The Moccasin Sock, Fair Isle Yoke Sweater, Knitted Dickeys (useful samplers for learning to knit short row Garter stitch corners, a technique applicable to larger garments), the original Knitted Moebius, The Bog Jacket, The Pie Are Square Shawl, A Norwegian Pullover, A Mittful of Mittens and An Aran Coat. Also features a slideshow of more than 400 EZ photographs & watercolors, with Elizabeth reading her digressions from the book. Approx 6 hrs. DVD.